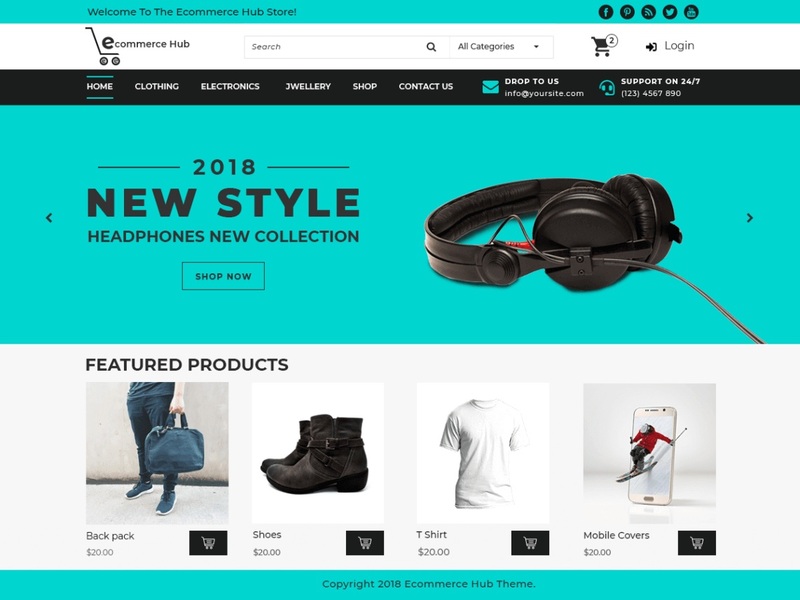 Ecommerce Hub is a stylish, expressive, engaging, versatile and contemporary WordPress eCommerce theme made to serve diverse range of eCommerce websites like apparel and fashion accessories store, cosmetic shop, sports shop, jewellery store, furniture house, mobile and gadget store, grocery store, home décor store, multipurpose online shop and many more. This multipurpose e-commerce theme is supported by WooCommerce plugin which gives many beautiful shop layouts and easy and secure payment gateways to set up a fully functional website within minutes. It will provide a never before online presence to your website and will help you establish yourself in the e-commerce world without any fuss. The theme is extremely easy to use with smooth navigation throughout the website. It is responsive, cross-browser compatible, multilingual, RTL supportive and SEO ready. Social media icons will do the needful of publicising your website on different networking platforms. It is built from scratch to get a bug-free site. Ecommerce Hub has generously used banners and sliders to make the site more attractive and stylish. It offers easy customization through theme customizer which eliminates the need for any coding knowledge. Although it is loaded with features it is feathery light to load.